Jack Maitland was a major instigator and long-term head coach of the Leeds Triathlon Centre. Over a period of 16 years he was instrumental in the successes of Alistair and Jonny Brownlee, Vicky Holland, Non Stanford and many other elite athletes. 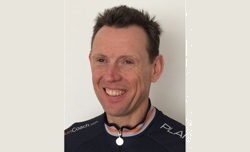 He also has extensive experience of coaching athletes of all levels at distances including 70.3 and Ironman. Alongside his coaching Jack has for many years been a proponent of the benefits of yoga. Now that he has stepped aside from his position in Leeds he plans to use his unique experience of coaching and yoga to help athletes in their sport and everyday life.